New rules allowing planes to fly in areas with double the density of volcanic ash than before are to be introduced by the Civil Aviation Authority (CAA) later. Airlines will need the agreement of aircraft and engine manufacturers to fly in the zone for a limited time. Airlines, regulators and manufacturers have backed the move after thousands were stranded by airport closures. Airline chiefs have heavily criticised the earlier no-fly zone system. All flight restrictions have now been lifted, after the ash cloud over UK airspace moved away, but knock-on disruption continues. Airport operators are advising passengers to check for delays to their flights with airlines. Air traffic control company Nats said it was "delighted" by the new measures, which meant there were "no predicted restrictions on UK airspace in the immediate future". CAA chief executive Andrew Haines said "unprecedented situations" required "new measures" and the challenge posed by the volcano could not be underestimated. "The world's top scientists tell us that we must not simply assume the effects of this volcano will be the same as others elsewhere. "Its proximity to the UK, the length of time it is continuously erupting and the weather patterns are all exceptional features. "The answer can only come, therefore, from aircraft and engine manufacturers establishing what level of ash their products can safely tolerate." Rules set out by the International Civil Aviation Organisation, which have never been changed, state that any amount of ash in flying zones should force flights to be grounded. But in April after six days of airport closures and subsequent tests, the CAA raised the density threshold level forcing a flight ban from zero to 0.002g per cubic metre of air. The maximum concentration agreed by scientists and engineers is now due to be raised again for limited flights - doubling from 0.002g per cubic metre of air to 0.004g. A CAA spokesman said the amount of time a plane can safely fly in the new ash limit will be determined by individual airlines' engine manufacturers. Jim French, chief executive of budget airline Flybe, said he welcomed the move. He said the airline had been forced to cancel 381 flights during the past 48 hours but if the new criteria had already been in place, it would have only affected 21 flights. Transport Secretary Philip Hammond said the CAA, aircraft and engine manufacturers and airlines had been working "extremely hard" to "get people flying". Airlines had been calling for the system - which uses Met Office data to set out no-fly zones - to be revised. British Airways chief executive Willie Walsh has said blanket bans on flying were "a gross over reaction to a very minor risk" and called for a "much better and more sensible" approach. 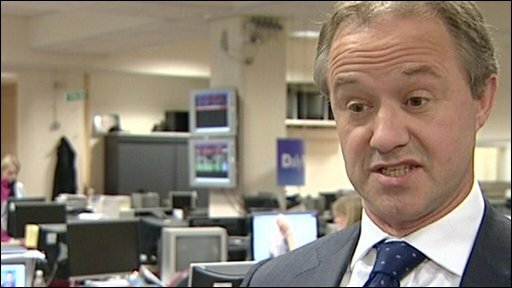 Meanwhile Ryanair chief executive Michael O'Leary said reliance on "outdated, inappropriate and imaginary" computer-generated volcano concentration charts was "ridiculous". On Sunday, Virgin Atlantic president Sir Richard Branson called the closure of Manchester airport "beyond a joke". 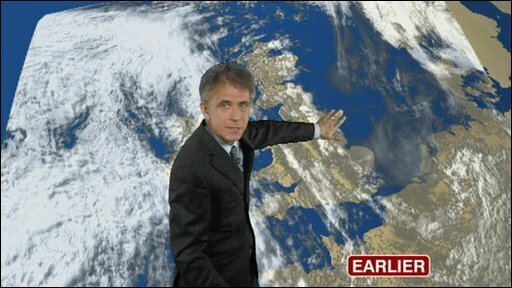 But a Met Office spokesman said: "There was ash over the UK. "Our forecasts are updated regularly and are based on a number of factors, including observations from space and inputs from our colleagues in Iceland. "I cannot stress enough just how changeable the ash-cloud situation is. There is change hour by hour and we try to feed through as much information as we possibly can. "The problem has been that we have been having long periods where winds have come from the north west and this has blown the ash over the British Isles." 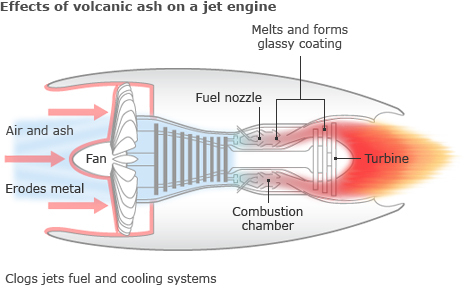 Since the Eyjafjallajokull volcano in Iceland erupted last month, throwing huge amounts of ash into the air, thousands of flights have been delayed or cancelled across Europe because of fears that ash could turn into molten glass within a hot jet engine, crippling the aircraft. What do you think of the new rules? Do you think they will make a difference? Have your travel plans been affected by the latest disruptions? Have you made alternative travel arrangements? You can send us your comments using the form below.